Fezzari’s Cascade Peak PRO is ready to get loose in the dirt — or snow. The Cascade Peak Pro 29 is Fezzari’s new all-mountain machine. Built around their AT529 frame design, it has adjustable GA-Link geometry to keep a consistent BB height when changing between 27.5+ and 29er set-ups. The Tetralink AT529 suspension delivers 130mm of travel, and is said to improve pedaling efficiency and add a more progressive curve for a bottomless feeling. And of course, like all Fezzari bikes, the Cascade Peak Pro 29 is shipped direct to your door. When told a new bike will arrive at my house and require no adjustment before riding, I’m skeptical. 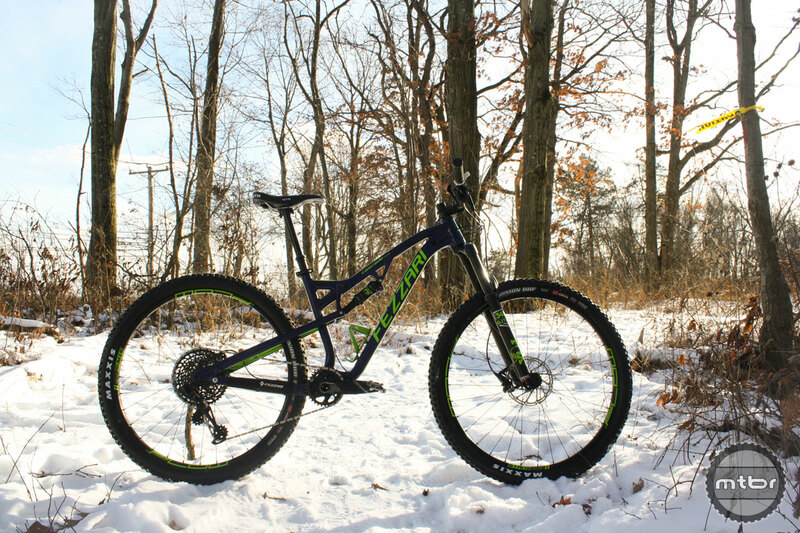 But I’m currently eating my words and enjoying my first snowy test rides on Fezzari’s new Cascade Peak Pro. 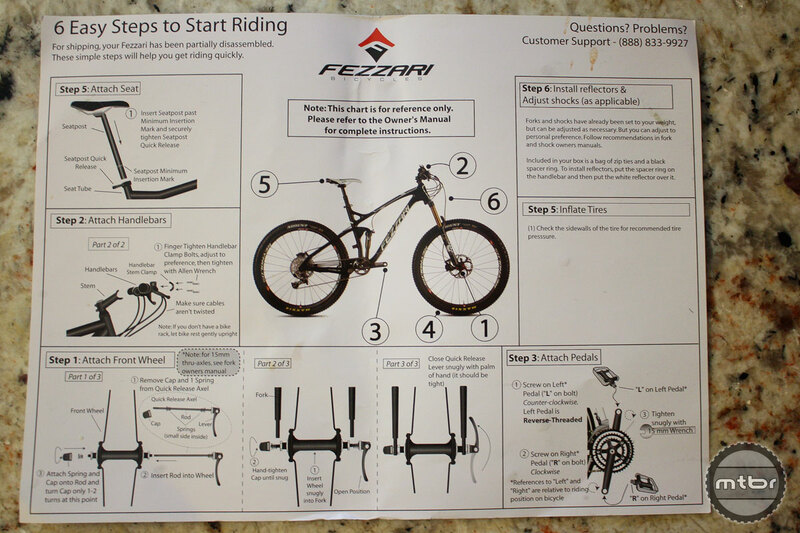 Instructions are shipped with all Fezzari bikes so there is no guesswork during assembly. The tester Fezzari arrived just days after completing their on-line 23-Point Pre-Purchase Fit questionnaire. In a box only slightly bigger than your average bike box was a pre-built, highly tuned-fun machine, fit to my body and riding style waiting to hit the woods. Minutes after opening and cutting a few zip ties, the bike was nearly built. All tools required for assembly were included, along with an easy-to-follow one-sheet. Within 15 minutes the bike was built (fork and shock we set up to my weight before shipping) and I was out the door and spinning. Wide bars and a 35mm stem make the Cascade Peak handle nicely on drops and jumps. 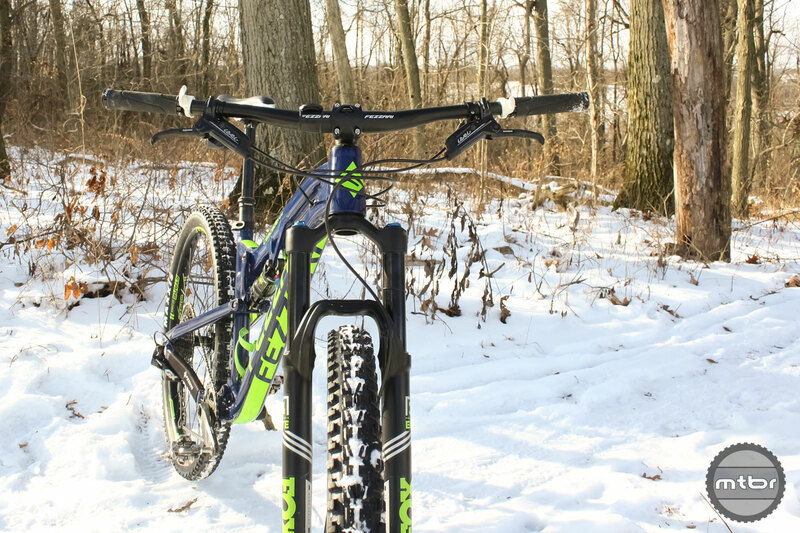 Mtbr’s first test rides were on snow covered Pennsylvania single track, perfect for sliding in and out of turns. Indeed, Fezzari’s Cascade Peak has a confidence inspiring nature and accelerates quickly. I especially liked how it handled in tight turns and switchbacks, stable but not too long to whip around. No details were missed in spec’ing a perfect build kit to ride everything. We are still racking up test miles on the Cascade Peak and will have more to say in a couple weeks. In the meantime, cruise over to the Fezzari website and check out the different build options available. 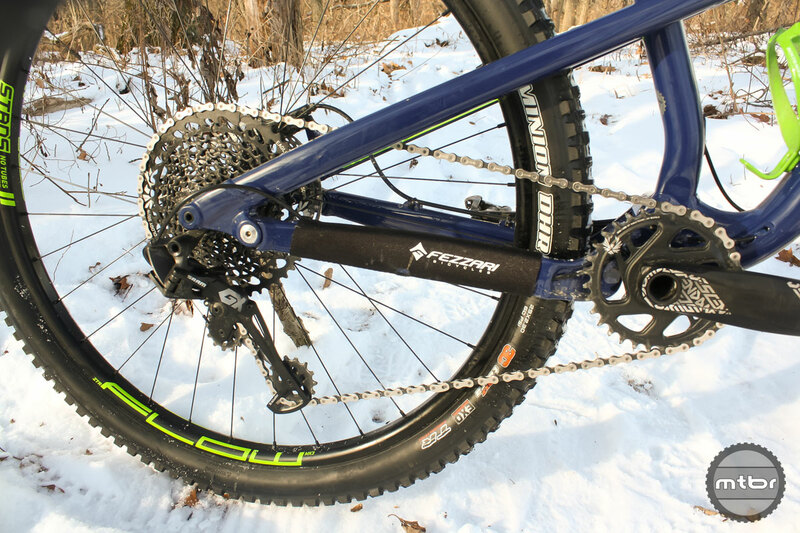 Fezzari’s Cascade Peak PRO is ready to get loose in the snow. Instructions are shipped with all Fezzari bikes so there is no guess work in assembly. “…35mm stem make the Cascade Peak handle nicely on drops and jumps.” – I bet that’s essential (if mostly to inflate the price). Any updates yet? Another review I read said the BB height was WAY lower than advertised.